Designed primarily for run to waste systems, House & Garden Hydro feed continues to be one of our most well respected lines. Tried and tested, Hydro Grow provides your plant with the large amounts of nitrogen and other essential minerals needed during growth. This ensures lush green growth and a strong root system as your plant grows. Consisting of two parts, an A and a B formula, all House & Garden base nutrients are manufactured using the highest grade mineral compounds. .. 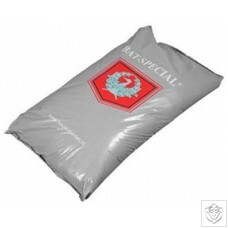 Bat Special is House & Garden's premium quality soil mix. It contains German black peat and Baltic white peat, both of which carry the RHP stamp. Perlite, lime and bat guano is then added to the mix, this provides extra fertiliser to your plants. 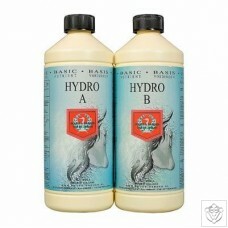 Bat Special carries a pH of 6.4 and an EC of 1.2-1.5 ..
Hydro Bloom feed provides your plants with all the essential minerals needed to produce large crops with superior aromas and flavours Phosphorus is fixed into the nutrient; this is easily absorbed by the plant and will stimulate a successful blooming cycle. Consisting of two parts, an A and a B formula, all House & Garden base nutrients are manufactured using the highest grade mineral compounds. .. 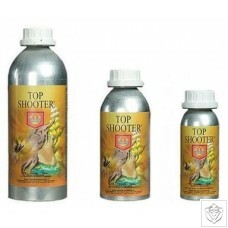 Roots Exelurator, Amino Treatment and Top Shooter in an attractive presentation box. All three products used together give amazing results. 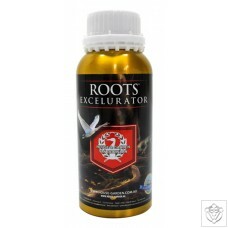 Root Excelurator This powerful root stimulator ensures a massive explosion of root mass, rids the plants of any brown roots, root diseases and provides an excellent rhizosphere (root environment) in the growing medium. Amino Treatment • Better foliage distribution & higher photosynthesis ratio • Solid stems and enhanced root activity • Increased fruit production with a higher sugar level Top Shooter Has a reputation worldwide as the finest flowering stimulator..
House & Garden Soil feed is designed to be used only in soil, it works most well with their own soil mixes but equally well in other brands. 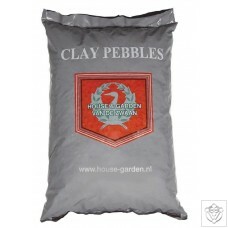 House & Garden Soil feed is used all the way through growth and bloom. In order to enable plants to take full advantage of their food, soil nutrients require an extremely precise blend of minerals. The unique composition of House & Garden Soil feed ensures that mineral uptake within the plant is maximised. Consisting of two parts, an A and a B formula, all House & Garden base nutrients are manufactured using the highest grade mineral compounds. House & Garden A and B soil..
House & Garden 1-Component Soil feed is a complete nutrient formulation designed to promote aggressive growth. This 1-Component soil nutrient is water-soluble and is incredibly easy to use. Phosphorus is fixed into the nutrient; this is easily absorbed by the plant and will stimulate a successful blooming cycle. Nitrogen prevents leaf discolouration, stimulates the longitudinal growth and protects the plant against fungal diseases. The element potassium ensures a good water balance and the synthesis, transport and storage of carbohydrates. 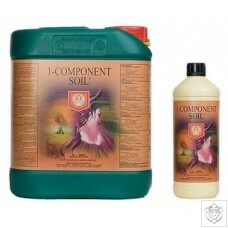 Like all House & Garden main feed lines, 1-Component Soil feed provides your pla.. Designed to produce the same great results as the mineral version, while remaining completely organic, Bio 1 Component Soil is House & Garden’s organic based, one part fertilizer for soil amended with lime. Formulated specifically for soil containing lime, Bio 1 Component Soil does not contain calcium which must be added when switching to bloom. Success Through Design House & Garden’s Bio 1 Component Soil nutrient composition provides the plant with high quality nutrition during the growth and flowering periods. 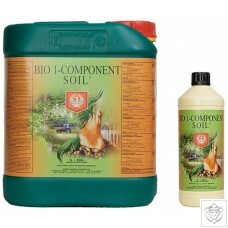 House & Garden’s Bio 1 Component Soil is composed of liquid main and trace elements and contains no bulk..
Coco fibre growing medium is known for its capillary action, it retains water and nutrients for a long period of time. For this reason cultivation in Coco requires a very well balanced main feed. 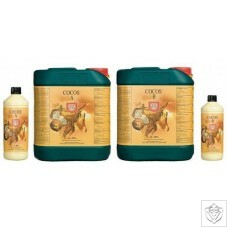 House and Garden Coco Grow nutrients are manufactured based on the needs of UK based growers, House & Garden are one of the only Dutch nutrient manufacturers to offer a grow formula of their base nutrient range. Other manufacturers only cater for the European market, where growers tend to have a much shorter grow cycle than here in the UK. Because of this, UK growers using other brands can sometimes experience a deficiency in nitr..
House & Garden’s new clay pebbles are available in 10L and 45L bags. Ideal for growers using DWC, aeroponic systems and pots and soil or coco (add to the top to avoid evaporation and to the bottom for drainage) ..
House & Garden's newest main feed, Aqua Flakes has quickly become known as one of the best and most versatile products in our industry. Manufactured based on the needs of UK based growers, House & Garden are one of the only Dutch nutrient manufacturers to offer a grow formula of their base nutrient range. Other manufacturers only cater for the European market, where growers tend to have a much shorter grow cycle than here in the UK. 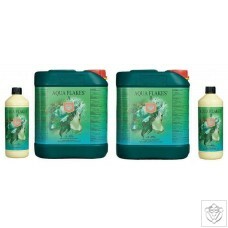 Designed for use in all types of re-circulating systems, Aqua Flakes is a nitrogen based fertiliser which gives your plants everything they need for aggressive growth in the grow cycle. ..
House & Garden's newest main feed, Aqua Flakes has quickly become known as one of the best and most versatile products in our industry. Manufactured based on the needs of UK based growers, House & Garden are one of the only Dutch nutrient manufacturers to offer a grow formula of their base nutrient range. Other manufacturers only cater for the European market, where growers tend to have a much shorter grow cycle than here in the UK. Phosphorus is fixed into the nutrient; this is easily absorbed by the plant and will stimulate a successful blooming cycle. Designed for use in all types of re-circulating systems, House.. Roots Excelurator creates a film around the roots, which functions as a kind of membrane. It keeps harmful diseases and germs out of the root zone but allows the absorption of nutrients. 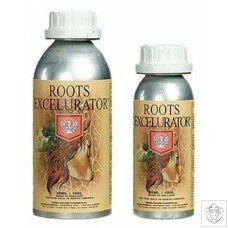 House and Garden Roots Excelurator is the most powerful root stimulator currently available on the market. This powerful root stimulator ensures a massive explosion of root mass, rids the plants of any brown roots, root diseases and provides an excellent rhizosphere (root environment) in the growing medium. Roots Excelurator also isolates the germs and prevents them from reproducing. Use Roots Excelurator during the first five weeks of the ..
House & Garden Attac Force is a completely ecological and biodegradable product for the control of pests within your growing area. Effective against pests such as mites, aphids, fungi and white fly. 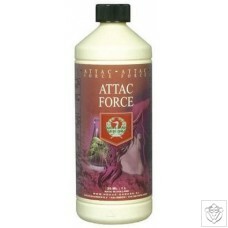 House & Garden Attac Force is a contact spray which must be sprayed to the underside of leaves to be effective against pests. ..
Plant roots are an essential part of the ecosystem below the soil surface. They are the link between the plant above ground and everything that happens in the soil. Roots are vital for the plant’s growth and have much influence on feeding the soil life and the structure of the soil. The better the rooting, the better the soil structure, the better the soil life, and the easier it is for nutrients to be absorbed. The result is an excellent plant yield. House & Garden Roots Excelurator is the most powerful root stimulator currently available. Our showpiece in the area of nutrients! This powerful root stimulator ensures the expl..
House & Garden Stimulator 1 is a powerful root stimulator which encourages rapid root development in the early stages of your plant's growth. It takes care of nutrient transport within the plant and speeds up the cell-splitting process. Stimulator 1 contributes to an extensive system of healthy root stems and hair roots. Stimulator 1 protects plants roots against the harmful bacteria, fungi and viruses. Stimulator 1 also contributes to an improved root environment in the soil. This encourages enzymes, good bacteria and fungi to do their job, leading to faster and easier absorption of the nutrients through the plant's roots. ..
Multi Zyme is a growth stimulator which increases nutrient uptake and accelerates the growth process. 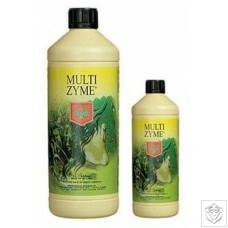 House & Garden Multi Zyme is a useful growth stimulator, rich in enzymes, co-enzymes and vitamins. It accelerates and simplifies the growth process. It breaks down and rids the root mass of dead root matter, it also increases the plant's natural defences against diseases. Enzymes convert nutrients into easily absorbable parts making them readily available for the plant. Multi Zymes contain humic acid and protein molecules, both of which are known to stimulate extremely fast root development. Stimulating root growth pr..
Algen Extract is extracted from seaweed, boosts growth and increases plant health. 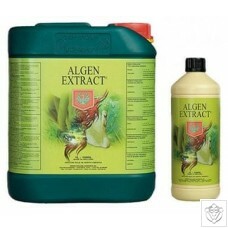 Algen Extract is one of the best kept secrets in the House & Garden range. Extracted from seaweed, it is a powerful growth stimulator. It contains large amounts of the necessary micro and macro nutrients that your plants need, as well as very high levels of natural hormones. 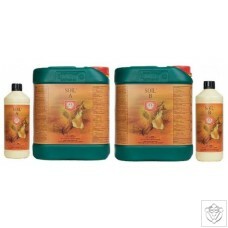 This combination ensures a healthier plant with a stronger root system. Algen Extract is one of the best kept secrets in the House & Garden range. Extracted from seaweed, it is a powerful growth stimulator. 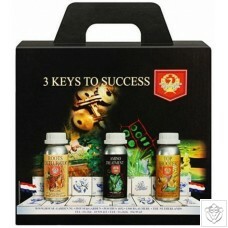 It contains large amounts of the necessary micro and macro n.. 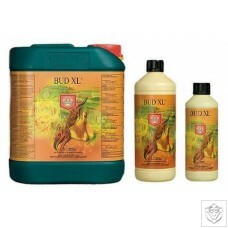 Bud XL is formulated to increase sugar production within your plant. More sugar means bigger, tastier fruits. House & Garden Bud XL has the unique ability to extract sugars from the leaves of the plant and transfer them to the fruit. The fruit is made sweeter and its taste is improved. Bud XL will also increase the size and robustness of the plant's fruits, which in turn will result in an increase in the final yield. It has been known for a century that enzymes act as a transporter and distributor of sugars in the plant. Bud XL uses these enzymes to extract the sugars and give you the grower heavier and denser flowering si.. 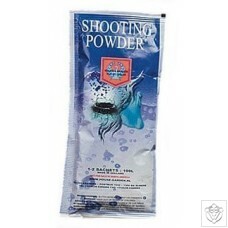 Shooting Powder's primary aim is to increase your yield. Starts a new flowering stage after the regular flowering stage has finished, significantly increasing the weight of your fruit. House and Garden Shooting Powder has gained a reputation worldwide as the finest flowering stimulator on the market. It shares the same active ingredients as Top Shooter, but it is applied in powdered form. Used in the final stages of the flowering cycle, Shootinng Powder forces a new stage of growth when the plant's fruit is almost ready to be cropped. Some other flowerinng stimulators will add density to fruit but taste and aroma will be compr..
Top Booster is essentially PK 13-14 with added red iron. This chelated iron stimulates the growth of your fruits further as the flowering stage starts. House & Garden Top Booster stimulates rapid fruit and flower formation by providing your plants with a large amount of phosphorus and potassium over a period of 3 to 4 days. 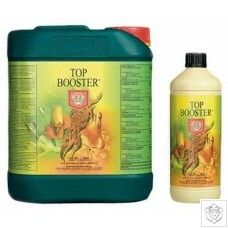 Top booster has the added advantage of EDDHA-Fe (red iron.) Red iron keeps the plant greener through this drought period ensuring a healthy lush plant. Phosphorous and potassium are important building blocks for the plant. Phosphorous is needed for the root formation and influences the respiration and p..
PK13-14 forces the plant into flowering and stops vegetative growth. 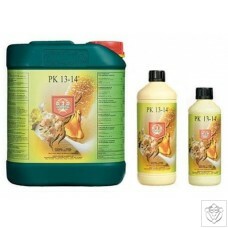 House & Garden PK 13-14 stimulates rapid fruit and flower formation by providing your plants with a large amount of phosphorus and potassium over a period of 3 to 4 days. This creates the illusion of a drought within the plant, stopping the growth cycle completely and forcing it into the flowering cycle. Phosphorous and potassium are important building blocks for the plant. Phosphorous is needed for the root formation and influences the respiration and photosynthesis within the plant. Phosphorous also plays a massive part in the flowering and ripening .. 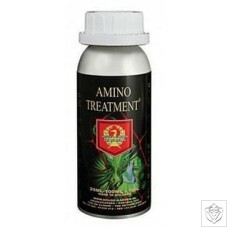 Using Amino Treatment guarantees abundant growth and explosive flowering of your plants. After many years of research, House & Garden presents this revolutionary growth and flowering booster. It’s an entirely new product, containing a well balanced combination of active ingredients. With Amino Treatment your plants will get: • A better foliage distribution • A higher photosynthesis ratio • Solid stems • Enhanced root activity • A better and increased fruit production • A higher sugar level of the fruit ..
Magic Green feeds the plant through the leaves and also coats them with a protective barrier against pests and disease. 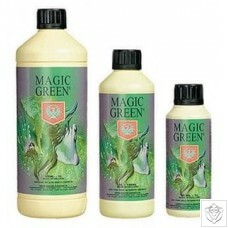 House & Garden Magic Green is designed primarily to give a boost to mother plants and plants in the very early stages of growth. From un-rooted cuttings through to established rooted plants, Magic Green will return the natural colour and vitality to your plants when sprayed directly onto the leaves. Magic Green works by strengthening the internal veins of the leaf and helping in the photosynthesis within the leaf. When Magic Green is sprayed directly onto the leaf it leaves a thin layer of wax and is abso..
Nitrogen (N) is important for plant growth. It prevents leaf discolouration, stimulates the longitudinal growth of the plant and protects it against fungus diseases. N 27% Nitrogen is converted quickly and easily by the roots into amino acids, which are the building blocks for proteins and important for the cell division in the entire plant. N 27% Nitrogen stimulates the growth, contributes to leaf formation and strengthens the root growth. Helps speed up slow vegetation growth. 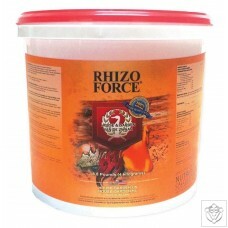 This product is super strength and has the highest Nitrogen content on the market. 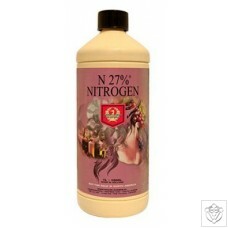 N 27 % Nitrogen works very fast, is economical in use and free from bu.. The nutrient Magnesium (Mg) stimulates an undisturbed plant growth. Magnesium is an important building block for chlorophyll. Magnesium deficiency may lead to a lower yield. 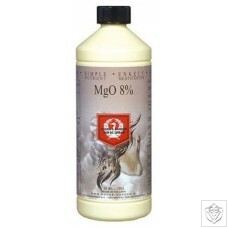 Mgo 8% Magnesium gives plants their fresh, healthy and green appearance. The nutrient is an important building block for chlorophyll and plays a key role in the photosynthesis (the storage of light energy in sugars). It contributes to the strength of the tissue and the cell wall and is a building block for various enzymes. A lack of Magnesium will cause the leaf to turn yellow while the veins will stay green. The leaves will also fall earlier. Use MgO 8% M..
100% natural protectant against Pythium and other pathogenic fungi from House & Garden. The blend of enzymes, beneficial bacteria and mycorrhizal fungi enable the root microbes to prevent disease. It also kickstarts life in new media getting plants off to a productive start and invigorates old media. Use: 1 tablespoon per 5 litre container of soil. Can be mixed into soil when potting up or top dressing. When top dressing, add another layer of soil to cover the Rhizo Force. 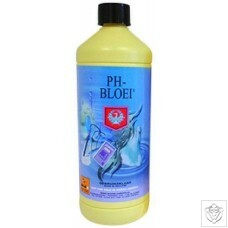 ..
pH Bloom is specifically formulated for the Bloom phase. pH Bloom contains phosphoric acid. 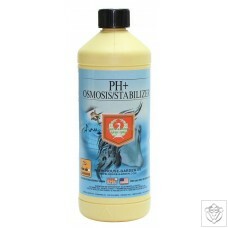 ..
House & Garden pH Stabilizer has been developed in order to balance the pH in the growth cycle of the plant and will keep the pH balanced for up to 10 days. House & Garden pH Stabilizer will harmonise with the base nutrient and enable good absorption of the main and trace nutrients by the plants. ..
House & Garden Drip Clean is a must for anyone using a drip irrigation system such as Auto pots or an IWS dripper system, as well as all other types of drip fed system. Drip Clean works as a magnet, removing dirt particles from your piping every time the plants are fed. This ensures they remain clean and free of blockages, meaning less headaches as the plants develop. 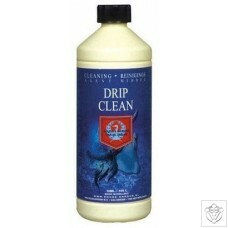 Drip Clean also adds a boost of minerals to your plant, improving the greenness and vitality with every application. Application To prevent any blockages of pipe work use drip clean with every watering. Use drip clean with any new systems to prevent bui..